Brighten your decor with the MS International Inc Pelican Sand Interlocking 12 in. x 12 in. Multi Mesh-Mounted Mosaic Tile. 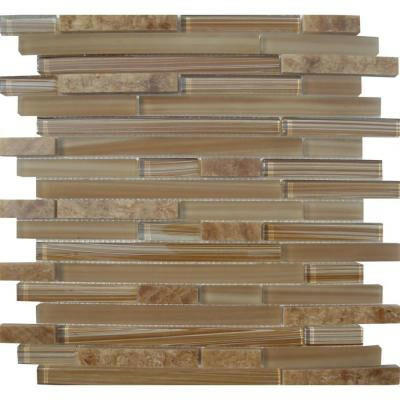 Designed for wall use, this tile is made of a mixture of glass and stone and features an unglazed textured finish. This impervious tile has a water absorption of less than 0.5% and is frost resistant to suit your needs. This beautiful tile has a P.E.I. Rating of 0 and a multicolored mosaic design with a slight variation in tone to help add style to your space. You can buy this product in our internet market. We will be glad if you make the right choice. 1 square foot per piece, each piece sold individually. Piece weight equals 4 lb.